This is my enterpretation of the sketch in the first Creative Scrappers contest on Facebook! 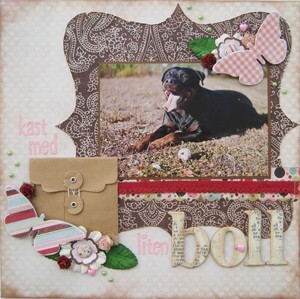 Argos taking a small breather from playing fetch, papers and embellies from the Nooks january kit with pink paislee, maya road and scenic route. Added some prima flowers and the big BG chipboard letters.